Project brief: Approx. 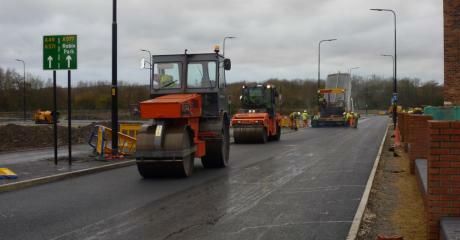 8-10,000m2 resurfacing scheme, realignment of roundabout including new lane construction and planning / resurfacing of roundabout and both approaches. 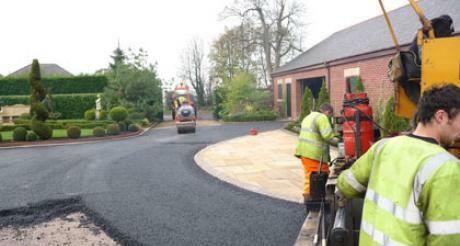 Footway surfacing and large amount of night time working. 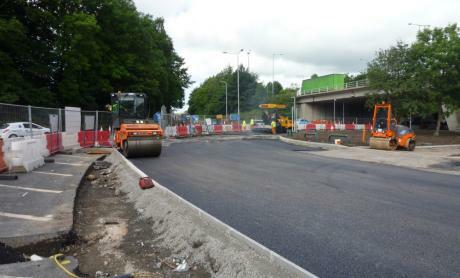 Problems encountered: The roundabout is one of the busiest stretches of road in the county and careful traffic management and difficult surfacing areas required precise planning. 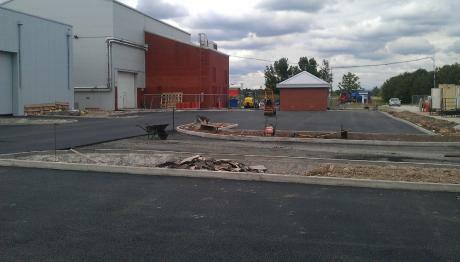 Our remit of works was to resurface the surrounding access road to North Wales main substation. Being the first time that such work had been attempted whilst a main power station was fully operational, there was a great deal of focus by all parties on the practicalities of safely achieving the task, as it was considered to be a trial for future works to be carried out at similar stations across the UK. Our remit of works was the installation of new speed tables to access areas used by BAE staff from designated car parks into offices. This included drainage, new footpath works including kerbing, edging and drainage and line marking to include surface dressing.